1)Green Tea & Macadamia Nuts Cake. 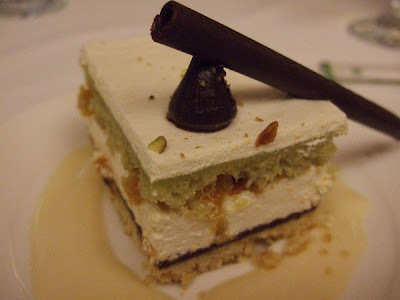 This luscious cake was so delicious with its pleasant sweet taste and fun’nutty’ texture in between. Its mild green tea flavour elevated the overall. It was definitely a good treat after heavy meal. 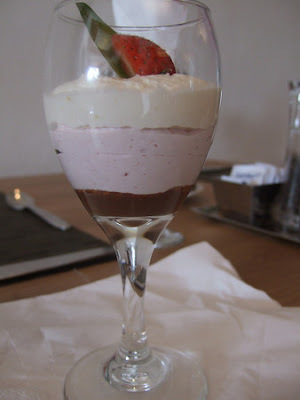 2) Tri-Colour Mousse in the Glass. It was made with 3 layers of mousse, vanilla strawberry and chocolate. 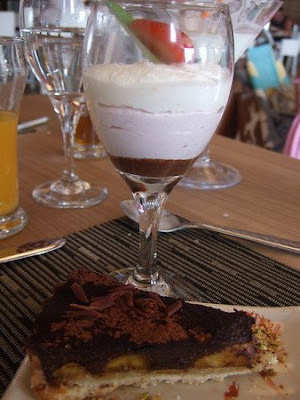 The texture of the mousse was so velvety and light-bodied. Its pleasantly sweet taste was certainly a plus point in making the glass a very popular dessert choice. 4) Just some house pour from Australia. 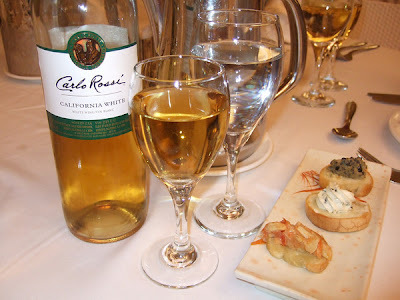 This light-bodied white wine was pleasant, and very easy for the throat, good to drink especially for wine beginners. What I would like to highlight here were those dainty light bites which great to nibble along. Yeah, these crostinis were topped with mousse cream with herbs, and caviar in minced crab meat. 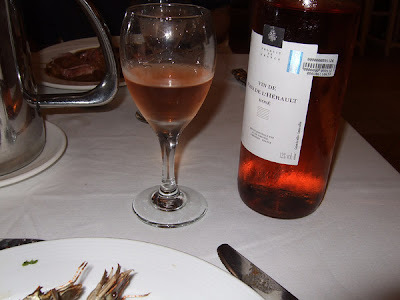 By the way, the wines were served to your table, by bottle. All to yourself. :)) *Updates: It wasn’t the case anymore in my latest trip in 2016. It was served upon request. 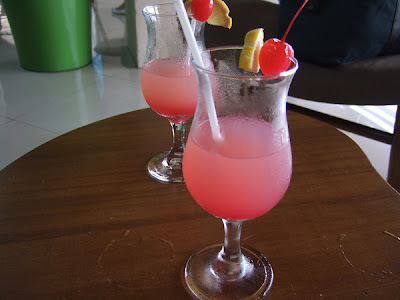 6) My welcome drink served at the reception while watching a traditional dance performed by the local dancers. 7) Some refreshing fruits on skewer? 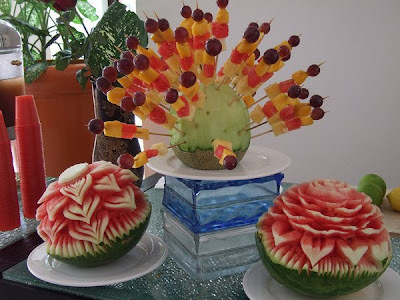 Don’t forget to also take a look on these the skillfully carved watermelons.